At Chitkara Business School, we continue to reimagine Marketing by closely following the evolving marketing strategies and incorporating the latest global trends in our business curriculum, coupled with a strong industry participation to stay ahead of the curve. MBA Marketing at Chitkara Business School provides a strong foundation in core business disciplines such as Advertising, Branding, Market Research, and Online Marketing to help future marketers study consumer behaviour and create marketing plans for products or services that will resonate with consumers. Our faculties bring an in-depth experience, academically as well as professionally, to keep you abreast with the most relevant business strategies. Core management subjects are covered in the first four terms, followed by special emphasis on Marketing Management and a three-month mandatory Industry Internship. A strong focus on Marketing can help provide critical inputs for decision-making in strategic areas. Marketing courses prepare students for future management careers, including brand & marketing management, consulting, and entrepreneurship. Marketing’s important role in strategic decision making also makes these courses a good choice for those with interest in Finance, Strategic Management, Entrepreneurial Management, or Operations Management. MBA Marketing has become one of the most desired degrees by both students and employers, with an increasing demand in the industry, across all segments, namely, FMCG, Supply Chain & Logistics, Telecom, Banking, Retail etc. 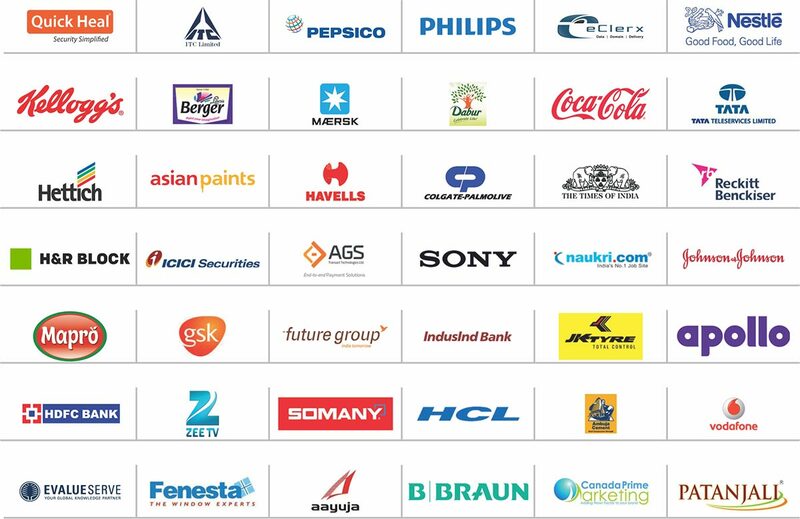 Chitkara University graduates get the best of opportunities for internship and campus recruitment in blue chip companies and multinationals such as Dabur, Reckit & Benckisser, ITC, Nestle, Onicra, Colgate Palmolive, Axis Bank, Videocon, among others. Shivam Arora, Batch 2018, bagged campus placement at DHL, Bonn, Germany, at a package of 40,000 Euros (Rs. 32 lakh per annum approx.). 15 MBA Marketing students got campus placement in HDFC Bank as Executive Trainee at the package of Rs. 6.50 lakh per annum. These students were selected based on their performance during Internship at HDFC Bank. 10 MBA Marketing students bagged campus placement in Evalueserve with a package up to Rs. 6 lakh per annum as Business Analyst. Marketing Batch got placed in the shortest time span of just 2 weeks, within the start of campus recruitment. Median package of the Batch is Rs. 6 lakh per annum. 25% of the Batch got Pre Placement Offers from eClerx, HDFC Bank, Quick Heal and edWisor. Other key recruiters of the Batch for final and Internship Placement are: Mahindra, Zomato, Hettich India, UM Motors, Ujjivan Small Finance Bank, Future Group, JK Tyres, Aditya Birla, Atom Technologies, Franke Faber, Reckitt & Benckkiser, Mapro Foods, Bluestar, Living Concepts, Angel Broking, H&R Block, among others. MBA in Marketing program is 2-year full-time degree including eight trimesters of three months duration each. The program follows module-based teaching – each module has two subjects of two to three credits, with each credit amounting to 18 hours of study including classroom teaching-learning/projects and assignments. Each term has three to four modules based on regular industry inputs and requirements. The candidate should have completed their Bachelor’s Degree with minimum of 50% aggregate marks in any stream from a recognised university. The candidate appearing in the final year examination can apply but must have secured minimum 50% (aggregate) marks till the previous year’s examination. However, the candidate must submit his/her graduation completion certificates by September 30, 2019, failing which he/she shall be de-registered.